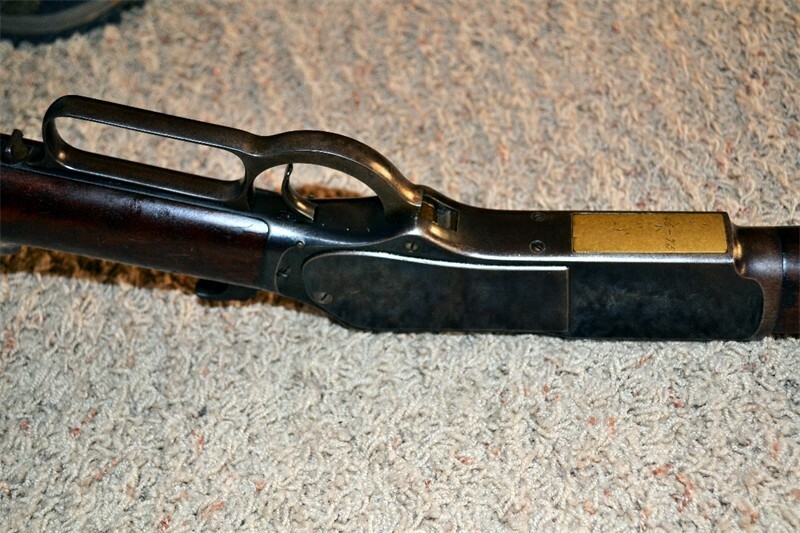 Dad (now 86) has a 95% or better condition Winchester .45-75 1876 Sport model that he's had since he was 10 years old. 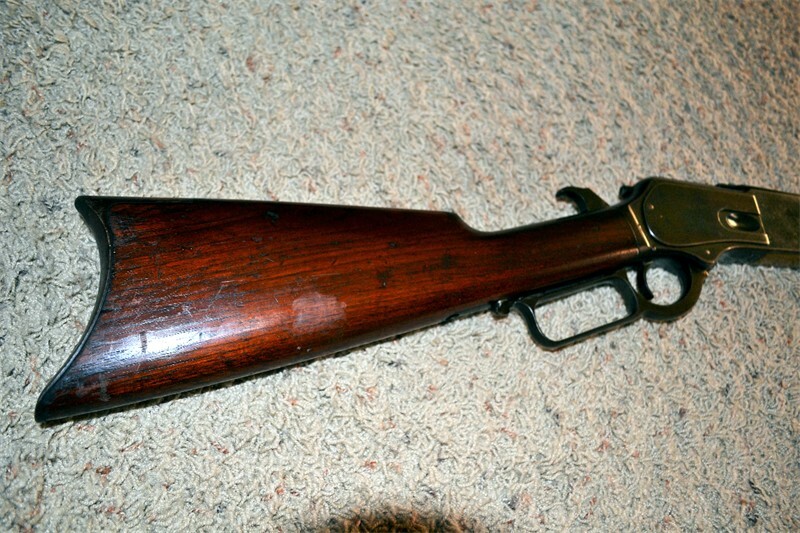 Him being an ex-101st Airborne Sargent (Korean Conflict) needless to say this firearm has been pampered over the past 7 decades and the photos show it. Each year he takes it out and oils it, applies a good wax to the stock. 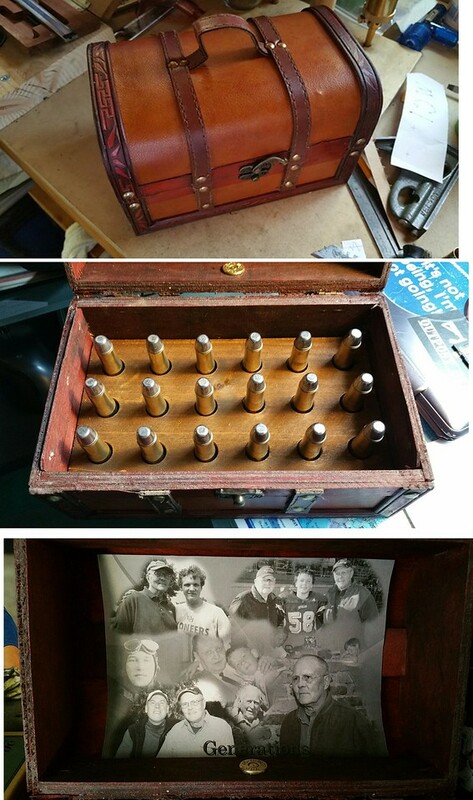 He's flying out from Minnesota for his youngest grandson's final senior year in Football for Senior Night in Oct this fall and I'm surprising him with 100 rounds of .45-75 ammunition. He said he's not shot the rifle since the late 40's (A Garand replaced the Winchester as his "Go To" deer rifle after the war). They will be ready when he gets here in October. 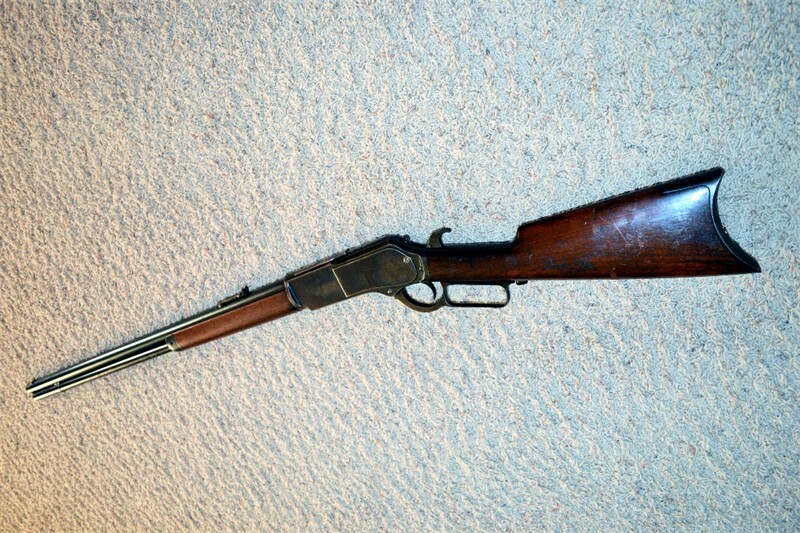 "Serial # 57XXX, The rifle is King's Improvement, Patented March 20,1866 ....October 20, 1880. 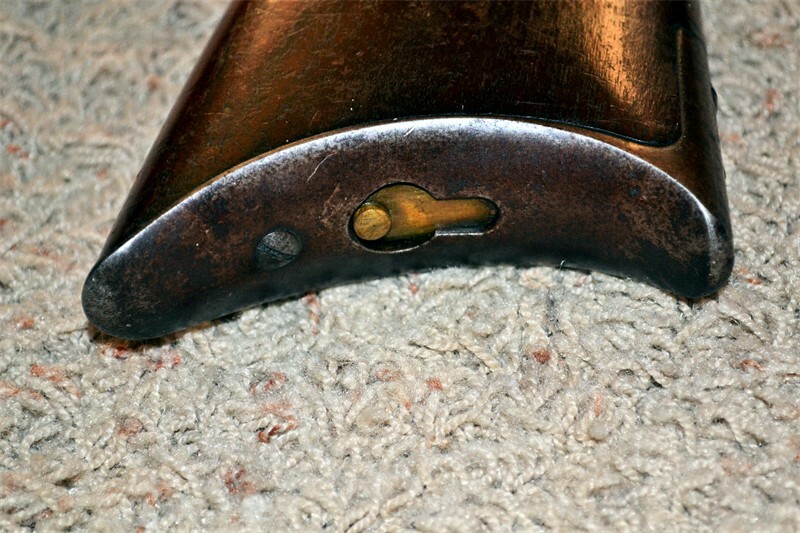 Round Barrel, Interior Brass Shell Feed and Extractor. 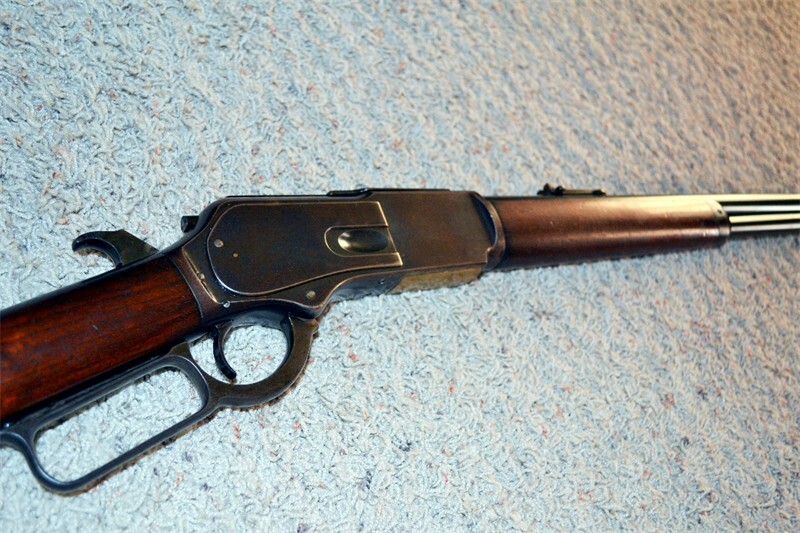 with Lever Action. Rear fold down Elevated Sight. It is really in good shape for its age and has never been refinished. 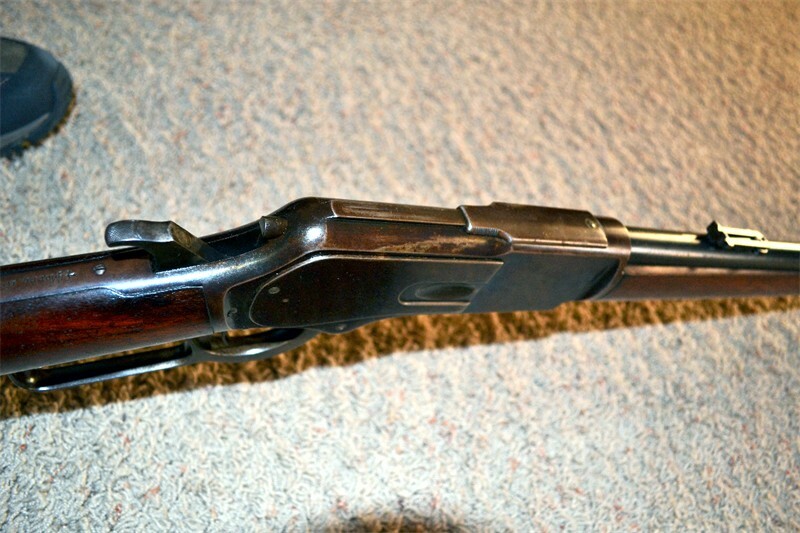 I bought this gun in the early 1940's at around 12 years old and used it as a youngster for deer hunting....at my Grandpa's Resort at Cass Lake, MN. During the second World War there were not any new firearms for sale. My Uncle Ed who was a traveling salesman bought it in Iowa from one of his customers before he was drafted into the Second World War. He use to take me deer hunting and put me in the woods somewhere on a log while he went off and tried to chase deer my way. I paid for it from the money I made at that early age by taking people out fishing from my Gramp's resort on Cass Lake. It cost me a whole $10.00 that was a lot of money for a kid in the 40's. So basically that is all the info I have on it." I have since found out with some research and local experts in the Winchester field that he has a rare collectible if I am not mistaken. Either way, I made sure he was insured up to $20k for the rifle on his insurance rider. 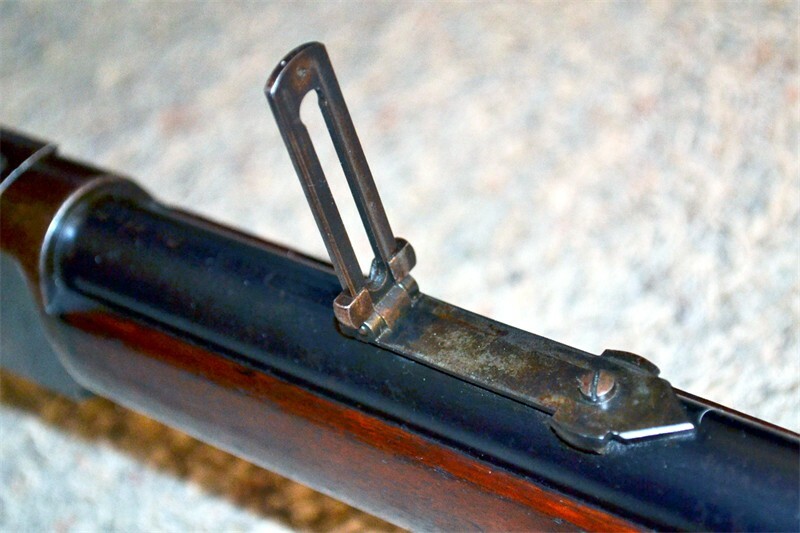 I am sure you folks know more about this rifle than I do as my expertise area, as green as it is, is in Trapdoors. I welcome you to share your thoughts! 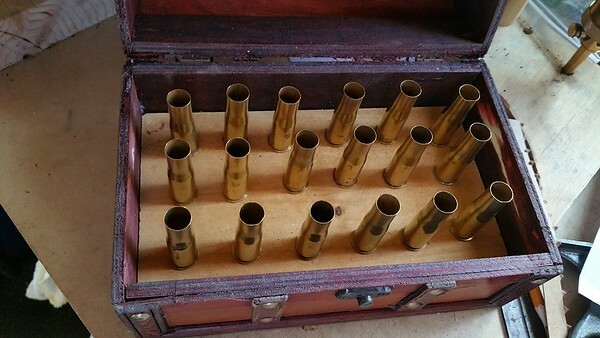 I looked around and shopped around for a nice wood box to put Dad's rounds in. Considering Dad was born in the depression (1930) he'd prefer something that didn't cost as much. He loves a bargain even though he's very well off. That's a trait of that era! Then I added a 5/8 particle board base, and a 1/2" piece of old cedar fence on top of that of which I will drill out with a Forstner drill for each shell. My neighbor is taking a 1.3" backstrip of cedar fence and burning "45-75 WCF" onto it. 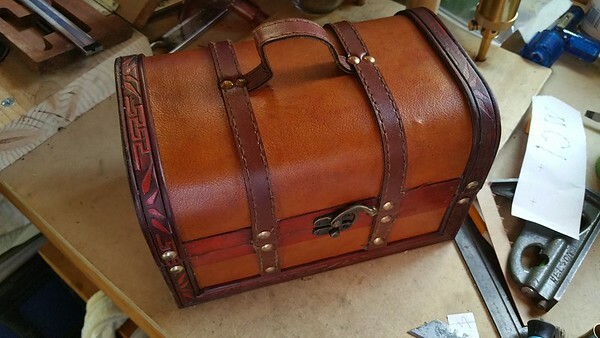 When he's done, we'll stain it, put it together and add the cartridges. 1.5 hrs of dinking around getting everything set up so I didn't crush a $1.80 shell case. I only had 20! Only made one. Now that I have the dies set up, downhill tomorrow. 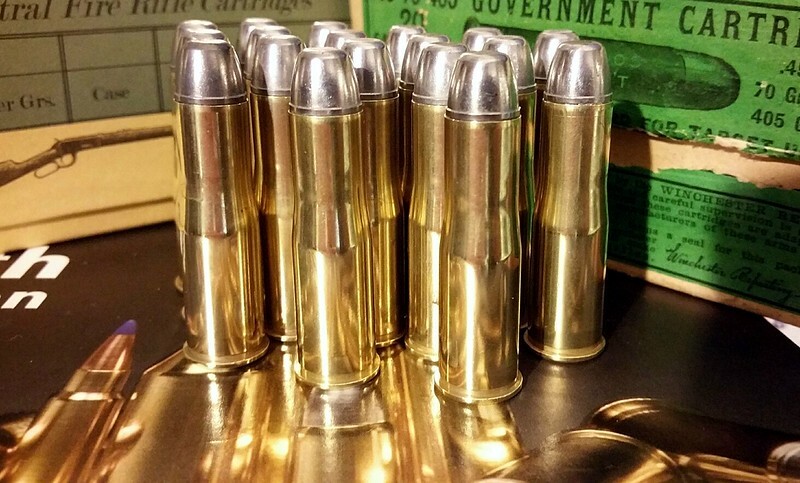 Powder: 64 volume Pyrodex RS (41.9 grains weight) low pressure load. 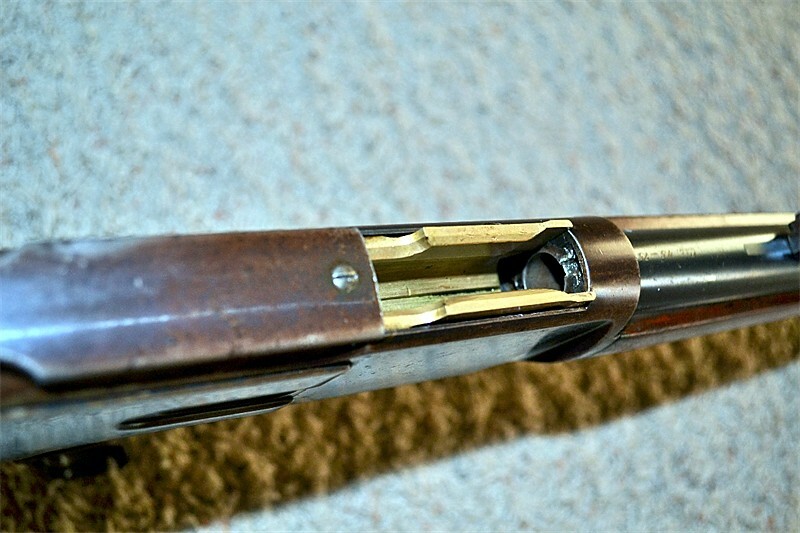 A Drop- tube was used to add 64 grs of Pyrodex RS Select into shell casing, leaving .440 between neck base and top of cartridge. 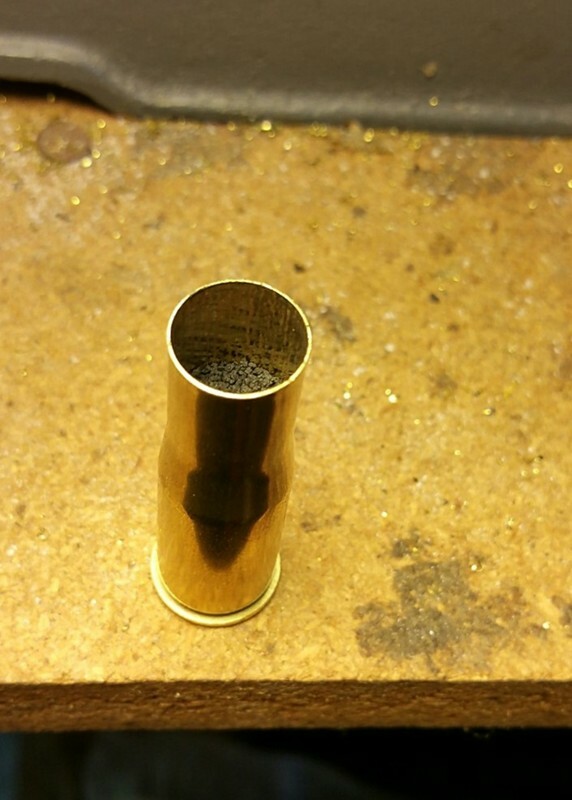 Then a John Walters .060 vegetable wad was added and compressed with a Montana Precision Swaging Compression Die. 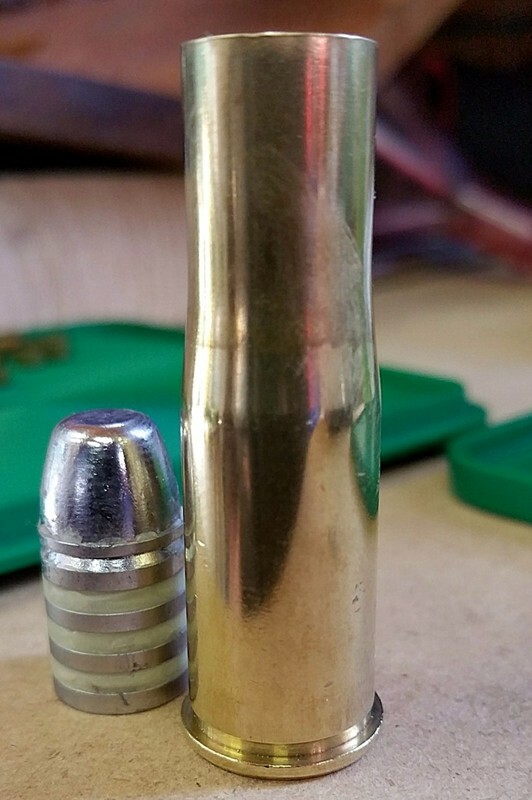 to .500 allowing for another 1/8 inch of compression with bullet seating. 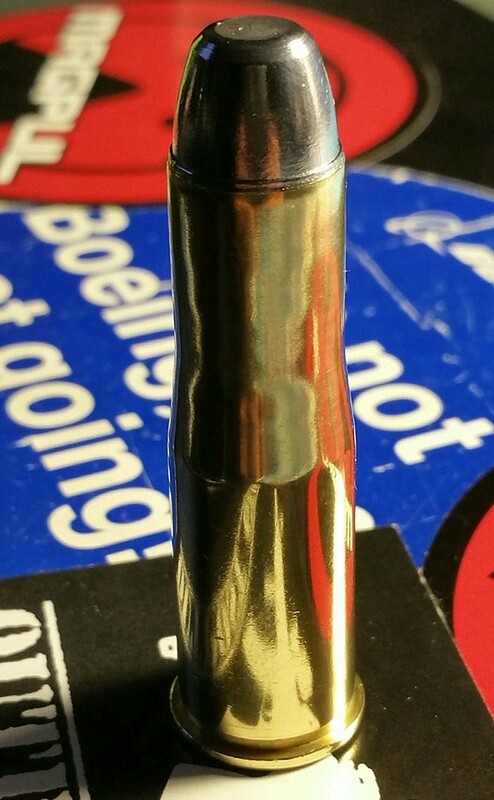 The final bullet, cleaned up, ready for Box Presentation. 19 left to go! Final post will be reloaded shells, box presentation. 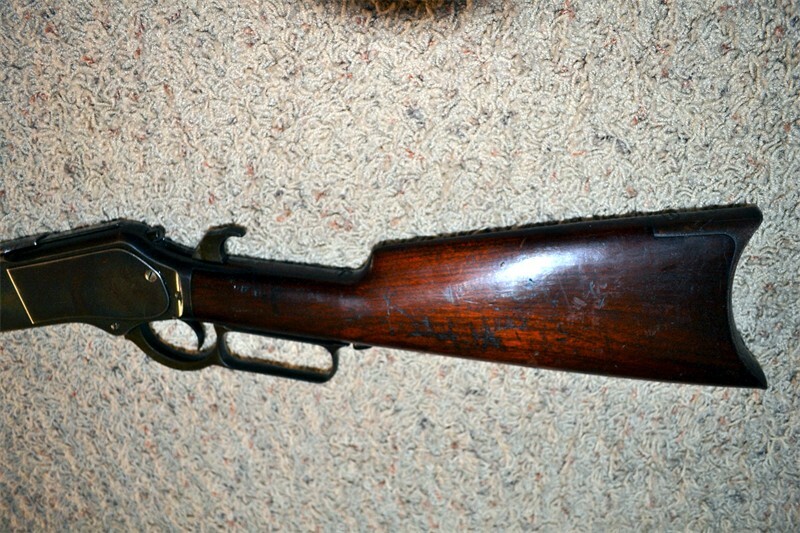 And hopefully a test shot with Dad's rifle when I get back there this fall/winter. Whoa! Most beautiful piece. The 45/75 is a real knock-down round. Thanks for posting all the pics. Last edited by redryder on Fri Sep 30, 2016 9:52 am, edited 1 time in total. 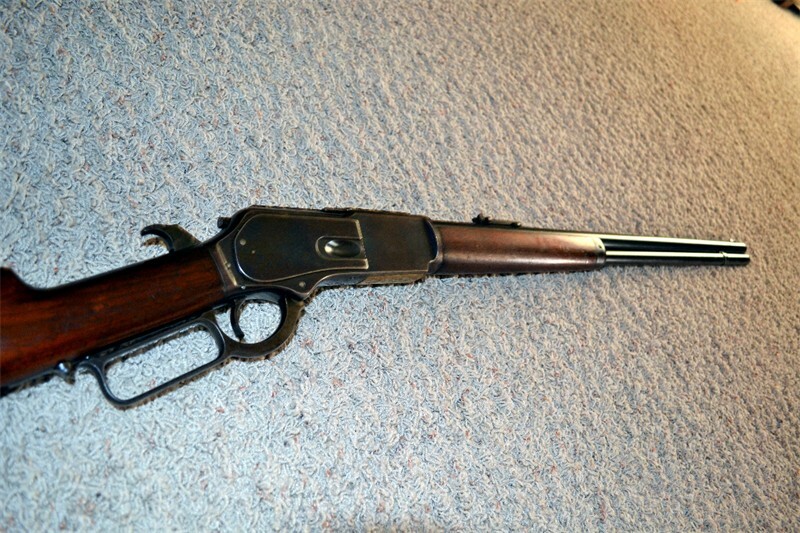 WoW your Dad had good tastes in his early choice of winchester! 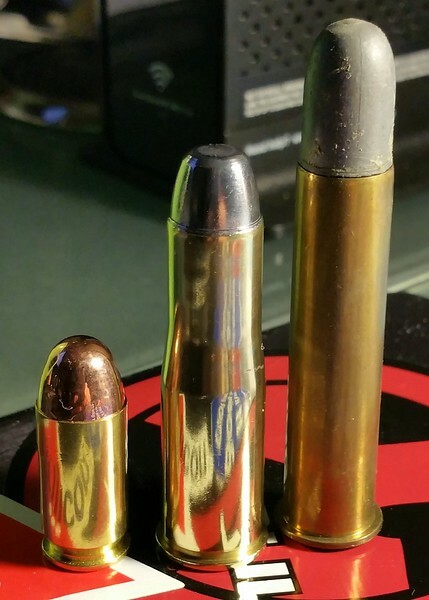 I have the smaller of the .45 in the 1876! The $10 he paid for it in 1942 would be $142 in today's dollars with inflation calculated in. Finished them all up last night. The box allows for 18. 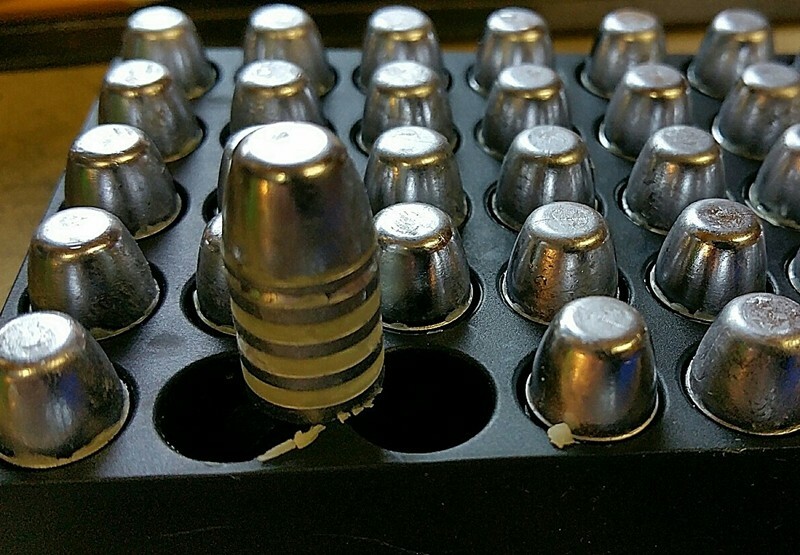 That leaves 1 for a test fire and 1 for my 'first reload cartridge type' collection. Still waiting on the box backstop that the neighbor is burning with lettering. Wow ! 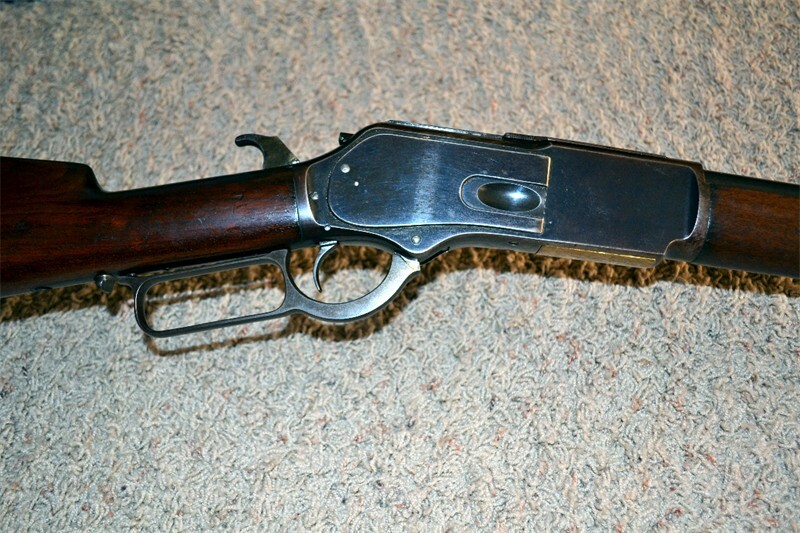 very nice rifle, that's the first one I've seen in years like my own, and congrats on saving all of those new cases. My original ballard cases are holding up well, and I managed to get another 50 jameisons earlier this year. I've had good luck with my 1876 45-75 loads, all were with with a slightly compressed load of pyrodex CTG under a 350 gr. 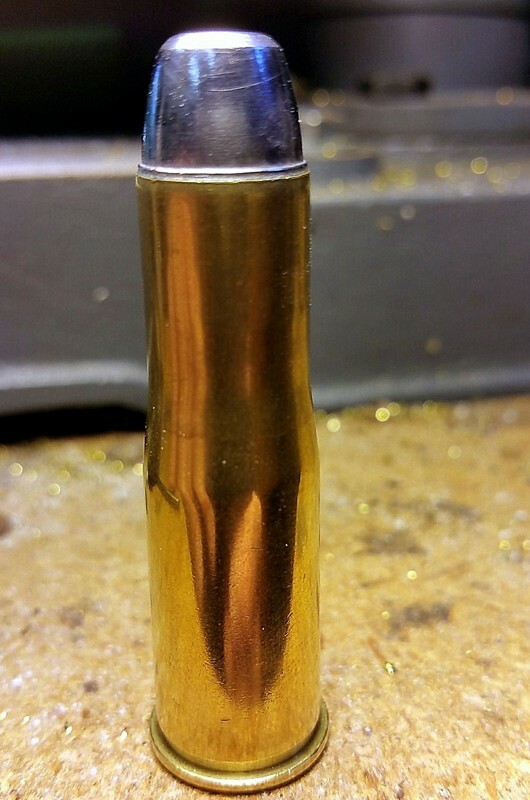 Hornady Jacketed .458 RN, or speer F.N. 400 GR jacketed (I think GTC is the predecessor to RS). It worked great, and very fun to shoot a piece of family history. I have a new can of RS but haven't tried it yet, will be awaiting your results. I may load some cast bullets next try, but I like the jackets for hunting, and I do take it in the woods on occasion just as the others in my family have done since 1883. 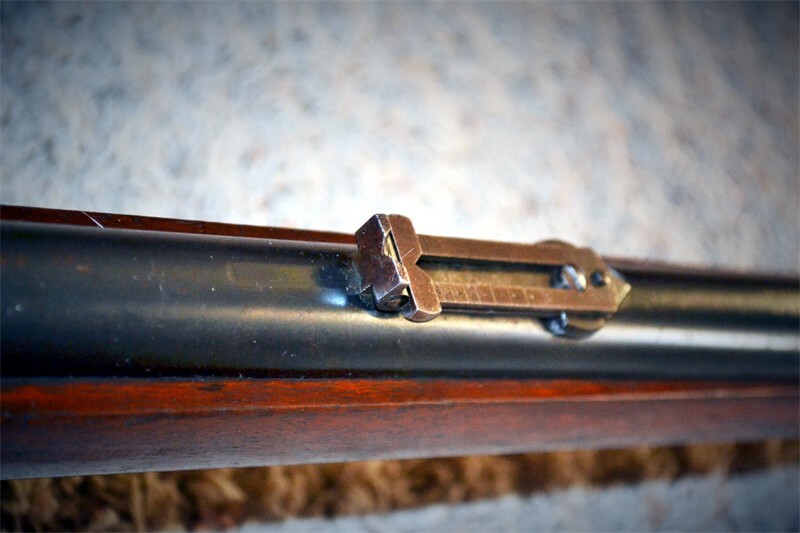 Let us know how the shoot goes, its a very fun cartridge to shoot. Skinner, thanks for your input. Here is the final product for Dad. I added a montage photo of the father generations on both sides of the family along with grand kids. You did good. Excellent idea and memorial. 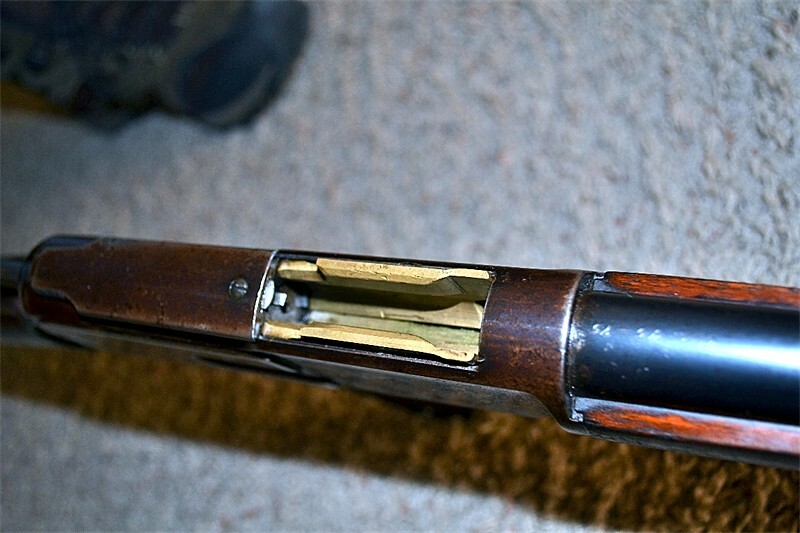 I'd stick to cast bullets since that is what the barrel is designed for. No jacketed bullets in those days and the barrel steel is soft enough that the jackets will wear the bore excessively. For powder try Triple 7 and cleaning will not be as big a deal. Contrary to what a lot of people believe Pyrodex is corrosive . Triple 7 is no more corrosive than smokeless . Very nice tribute sportsdad ! !